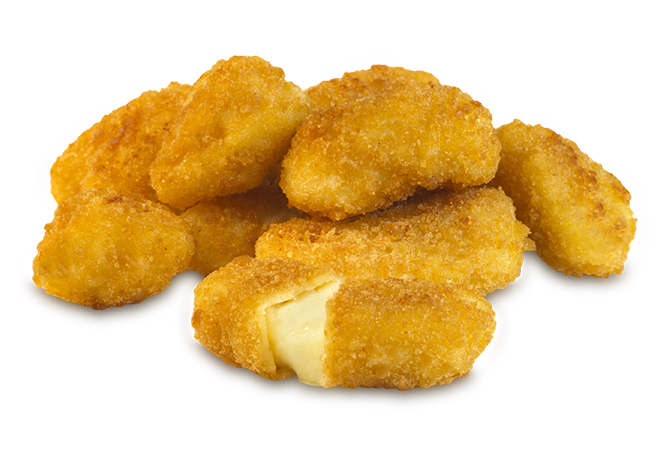 Premium white cheddar cheese curds with a crisp golden breading. 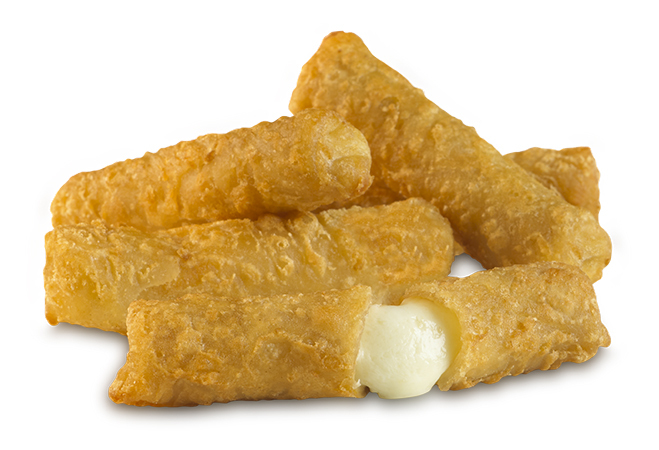 Three inch mozzarella sticks hand wrapped in wonton’s with a light batter. 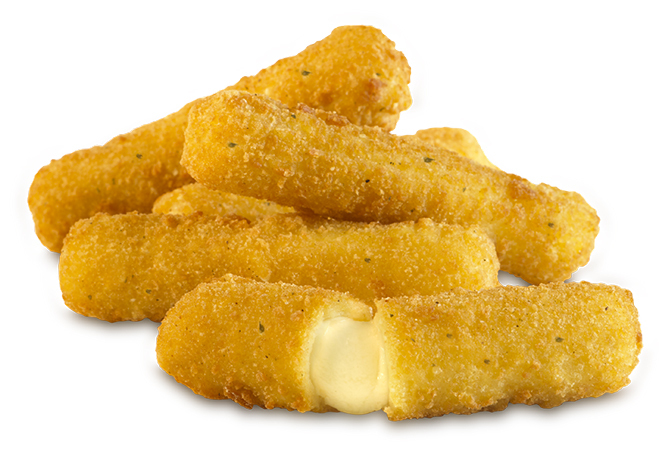 Creamy mozzarella sticks submerged in a rich Italian coating.